Now that you’ve installed your new ThoughtOffice Brainstorming Software, here’s the next step – importing your ExpertTopic Modules into the program. You will need to unzip your downloaded modules. Click here if you need instructions. Or – if you’re an old pro at using unzip programs – scroll down to proceed with step 3. Start ThoughtOffice. 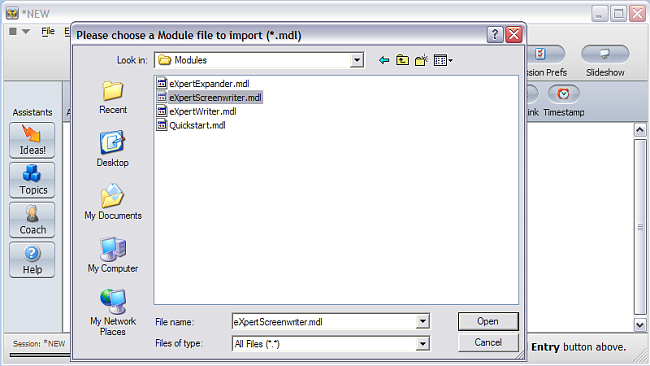 Go to the File Menu and select Import Module. This will bring up a new window that allows you to locate the new module on your hard drive. 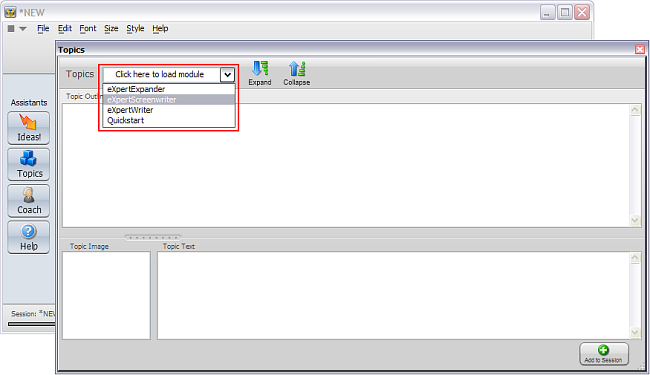 Select your Module file (the extension ends in .mdl) and click Open. Open up the Topic Module Menu in your Topics Browser and you should see the new module in your list. That’s all there is to it! 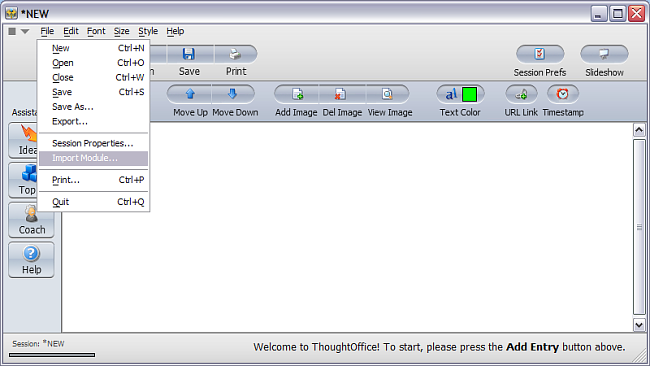 You’re now ready for your first brainstorming session with ThoughtOffice – congratulations! And again, don’t forget to download the Introductory Guide to ThoughtOffice. It contains lots of information to help you get started. If you weren’t able to successfully import the eXpertTopic modules, or are having issues installing or using ThoughtOffice, contact us right away, and we’ll be happy to help you.